As I mentioned yesterday, my short story “Joey” will be appearing in the Zombie Pirate Publishing anthology “World War Four.” It’s available now for pre-order at Amazon for delivery to your kindle device March 1st. Turns out fellow “Zombie Pirate” Gregg Cunningham has been creating individual cover designs for each of the short stories and posting them on the ZPP World War Four (private) Facebook author page. 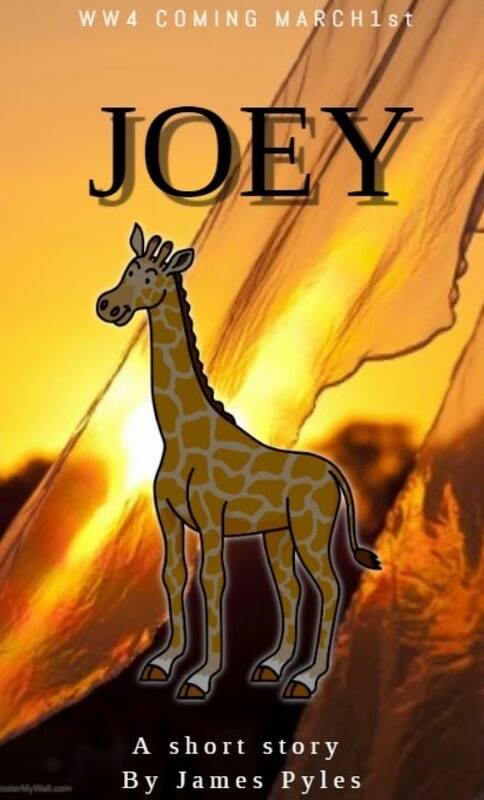 Above is the one he created for “Joey.” When you read the story, you’ll understand. Oh, and don’t forget to visit and “like” or “follow” my Amazon author page.